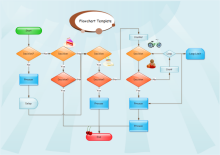 This Flowchart software for Linux is an intelligent and versatile program equiped with massive flowchart templates and symbols for users to create different kinds of flowcharts on Linux freely. It is compatible with Linux OS X: Debian, Ubuntu, Fedora, CentOS, OpenSUSE, Mint, Knoppix, RedHat, Gentoo and More. 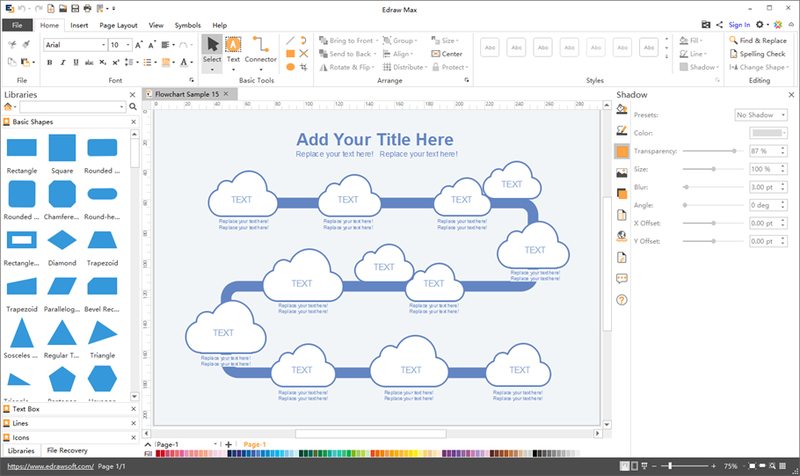 Edraw Flowchart Software is an easy-to-use Flowchart Drawing Software for Linux system that enables you to easily design any flowcharts such as audit flowchart, customer service flowchart, asset management flowchart, cross-functional flowchart, etc as you like. Compatible with Linux system including Debian, Ubuntu, Fedora, CentOS, OpenSUSE, Mint, Knoppix, RedHat, Gentoo and More. 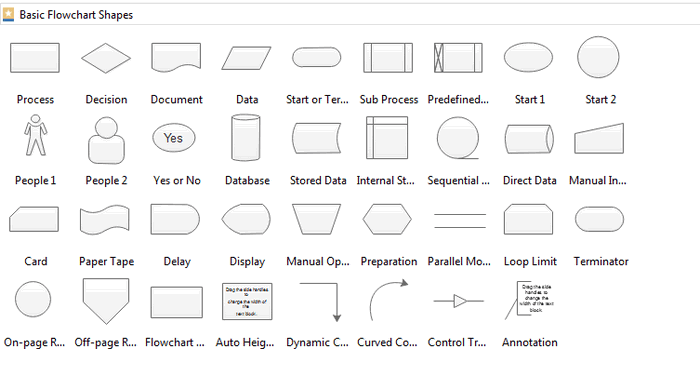 A large collection of free vector flowchart symbols. You can resize, rotate it as you desire. Various ready-to-use flowchart templates and examples. User are able to free download, edit and share them. Smart connecting. You are allowed to connect shapes with smart connection lines. Easy to learn and use. No graphic design skills required. Just drag & drop the ready-made shapes to your page. Delicate styles. Abundant arrows, line styles, gradient fills and textures for each object are available. Works smoothly with other programs. It can export and work well on Word, Excel, Viso, equation files with a single button-click. A variety of export options. Files can be saved as many common formats including PDF, SVG, HTML, etc and printed exactly . Cloud collaborative supported. 20M free cloud space is provided, you can use the space to save documents, share works or cooperate with other people. Live update. 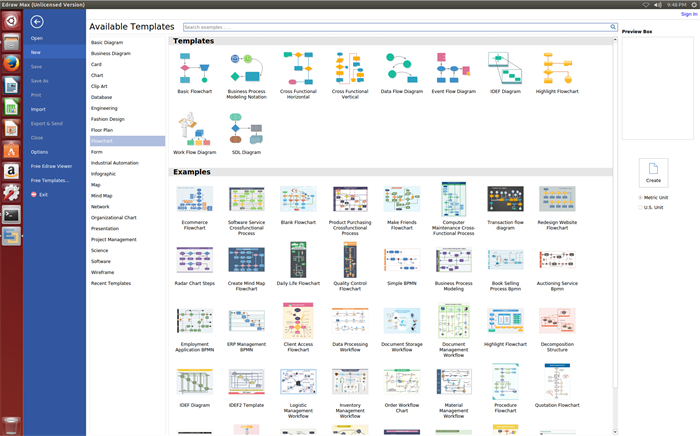 You will get notified when a new version or new templates are available for download. 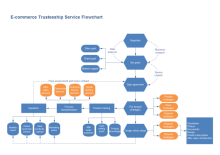 Flowcharts use special shapes to represent different types of actions or steps in a process. Lines and arrows show the sequence of these steps, and the relationships between them. Rounded box - is used to represent an event which occurs automatically. Rectangle or box - most frequently used symbol, represents an event that is controlled within the process. Diamond - shows a decision point in the process. Generally, the statement in the symbol will require a `yes' or `no' response and branch to different parts of the flowchart accordingly. Circle - demonstrates a point at which the flowchart connects with another process. Go to File menu > New >Flowchart, and then double click Basic Flowchart to pen a blank drawing page for creating a flowchart on Linux. Library on the left panel of the program covers all flowchart shapes needed to design a flowchart, simply drag and drop them onto your drawing page. Shapes are connected automatically by clicking the floating action button to generate connectors between two shapes. To add text content to a shape or connector, double click it, and then type. Click on any blank area of the page to finish typing. After that, you have completed a flowchart. Click Save on File tab to save as the default .eddx format, or you can also select Export & Send under File to export the audit flow chart to images, PPT, PDF, Word format .etc. Following are some flowchart examples made by our flowchart software on Linux. You can click to download, edit and share these examples. E-commerce flowchart shows the sequence of steps on how the e-commerce business is done. 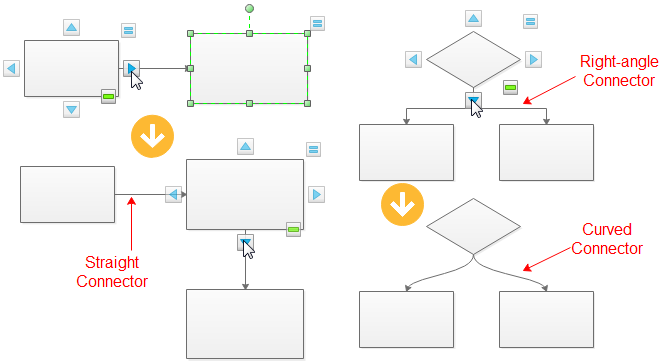 Blank flowchart is a flowchart demo using highlight shapes showing what result Edraw could achieve. 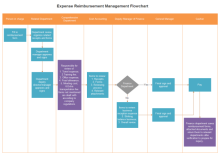 Expense reimbursement management flowchart is a cross-functional flowchart showing how to reimburse expense in a company.